Before trying this kit I’d never even heard of Dane. A friend brought the brand to my attention and rated it really highly, so I figured I’d check it out for myself. I needed a simple textile combo that could offer me good levels of protection and be able to fend off the worst of the British winter. Something that was waterproof, windproof, breathable and had detachable layers – just in case we get that one glorious day of summer. 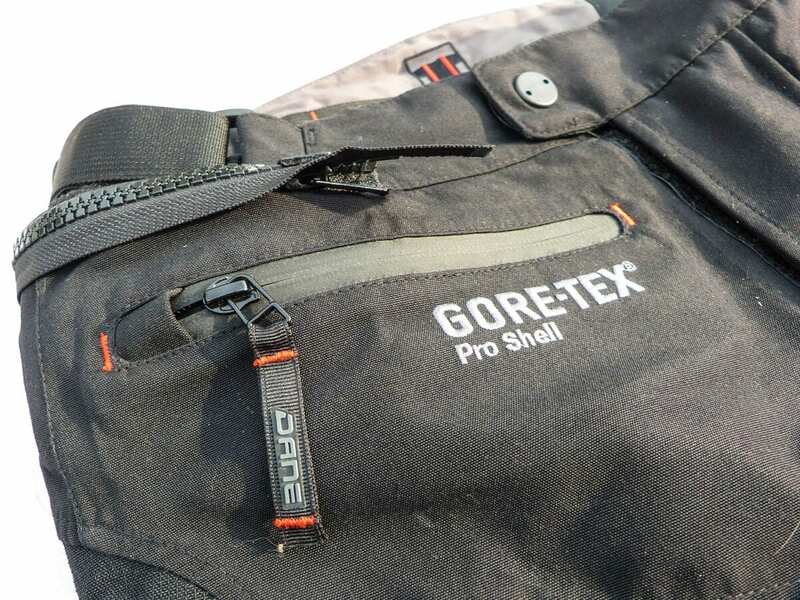 I found all that in Dane’s Osted Gore-Tex Pro jacket and the zip-together Lyngby Gore-Tex Pro trousers, which are both made from a super-tough polyamide outer, with Armacor reinforcement on the most vulnerable of areas. 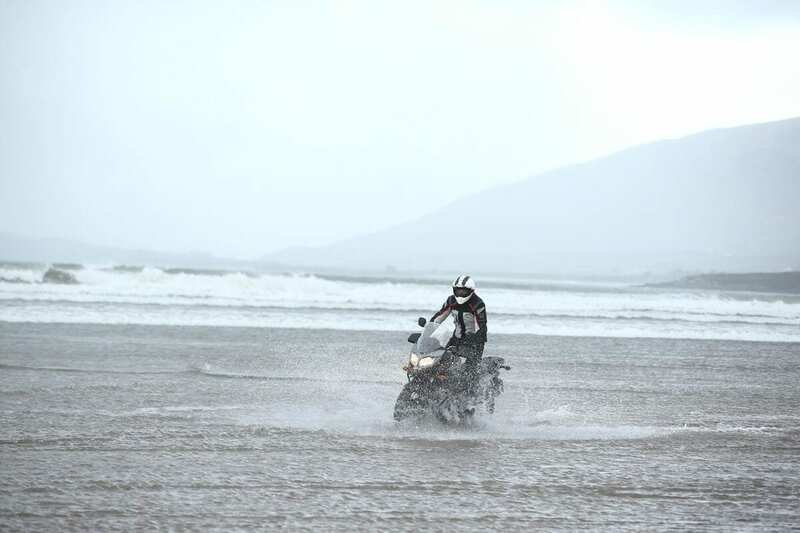 When the kit arrived I christened it in the Atlantic, quite literally; I got the chance to ride a bike on a beach in Ireland and was pretty chuffed to discover – after messing around in front of the cameras for far too long – that not a drop of water had made it through the drenched outer layers. 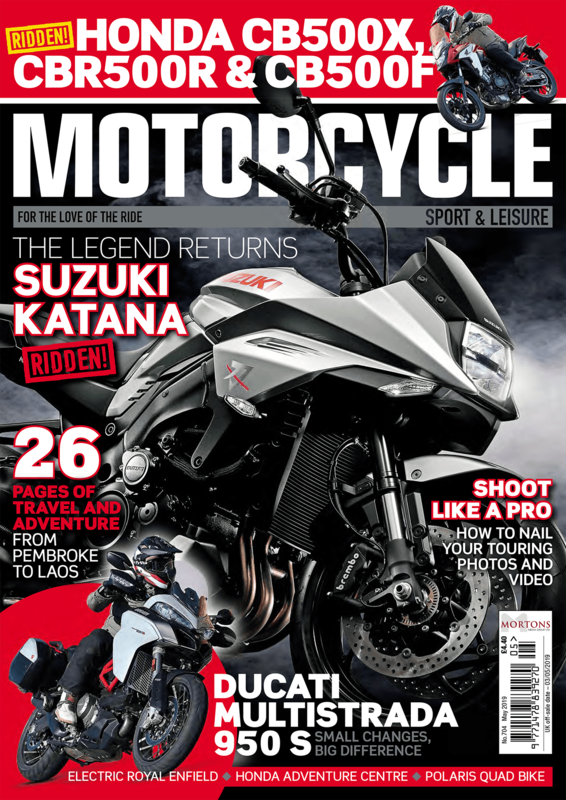 You’d hope this to be the case with every hi-spec suit that you ride in, but as some of you are no-doubt aware, that’s not always the case. According to the blurb on the kit’s tech, the surface of the garments are impregnated with a special dirt- and water-resistant polymer. And it appears to be repelling rather well so far. That particular trip was also freezing, meaning I got a great appreciation for how warm the Dane textiles are. 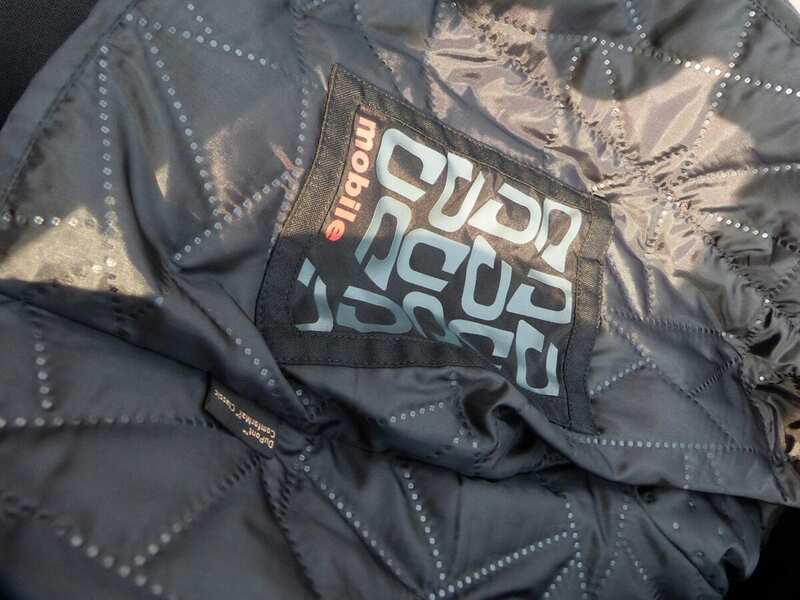 I had some under-layers beneath the suit and they combined with the removable inner liners to keep me toasty at all times. And that’s been the case ever since I got back. I’ve used the combo a lot over these past few months and they’ve never failed to impress with their comfort, and I also love the way they fit. The suit’s full of adjusters, so I can get them to mirror my body’s shape quite well. 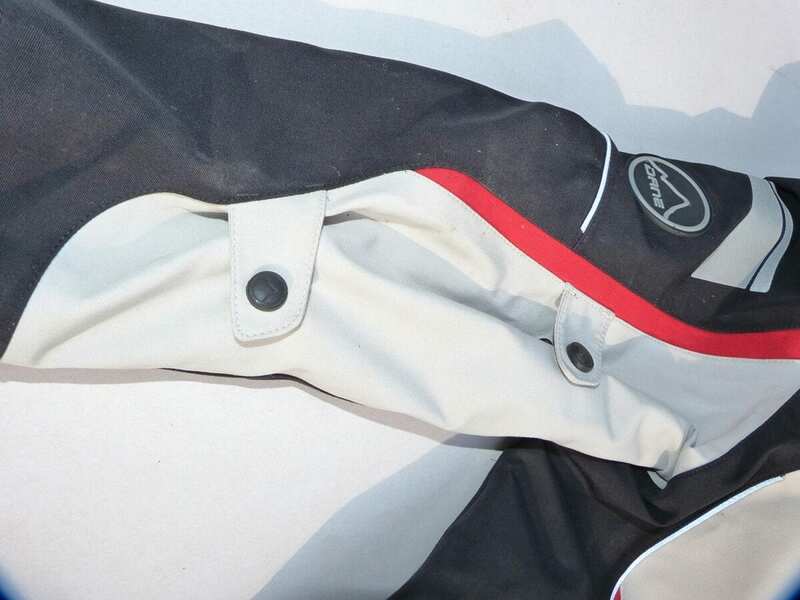 I’m impressed too by the trouser waist and the jacket collar’s magnetic fasteners. I don’t normally get excited about buttons, but the function of these two couplers is super-smooth and different to anything else I’ve ever tested. The same goes for the bottoms of the trouser legs, which feature an additional pull-cord type closure system to help guarantee no moisture gets to your legs. 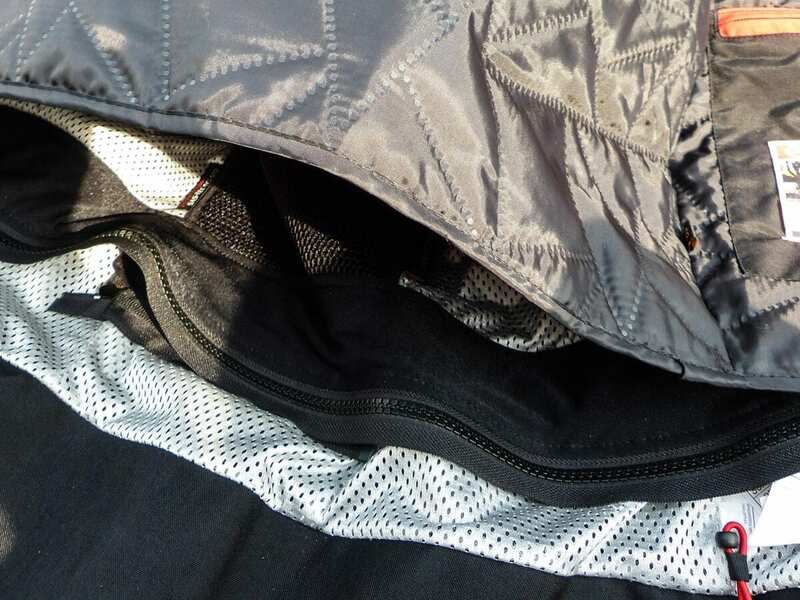 Throughout the jacket and trousers are an abundance of pockets; both inside and out. They’re all placed in logical positions, offering good stowage volume. 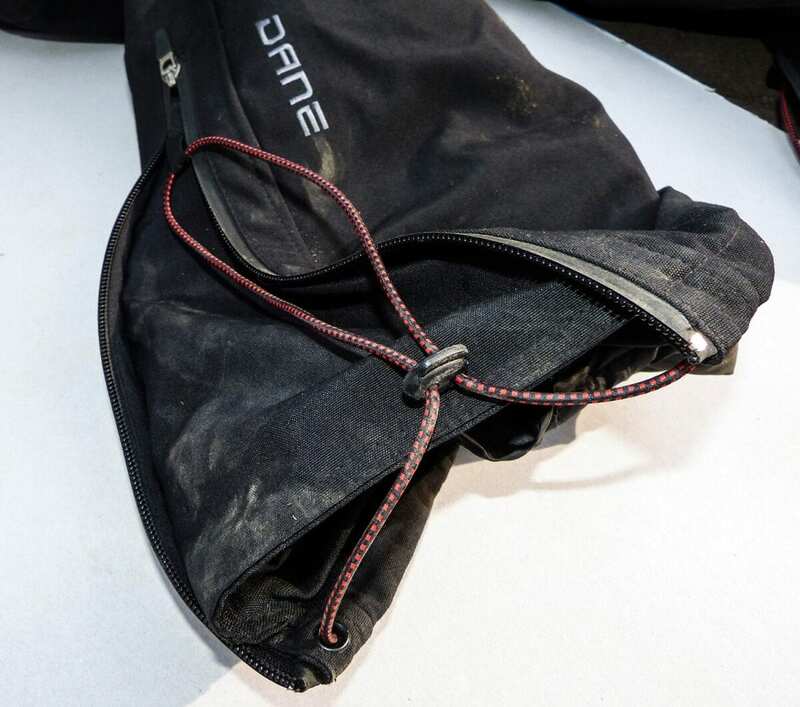 Most importantly, the outer (and inner) pockets are waterproof – secured further from the elements by an overlapping rubber seal closure zip. My only criticism is that the mechanisms all seem to be a tad on the tough side to operate, but regular usage has helped ease the zipping process, and a quick squirt of silicone every so often helps. 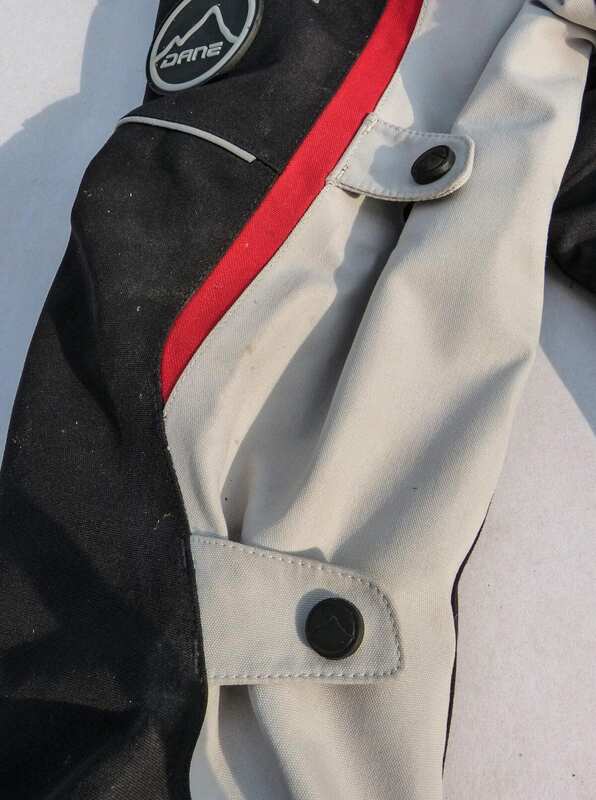 Speaking of zips, with the weather we’re experiencing right now, I’ve found myself unzipping the inner thermal linings. 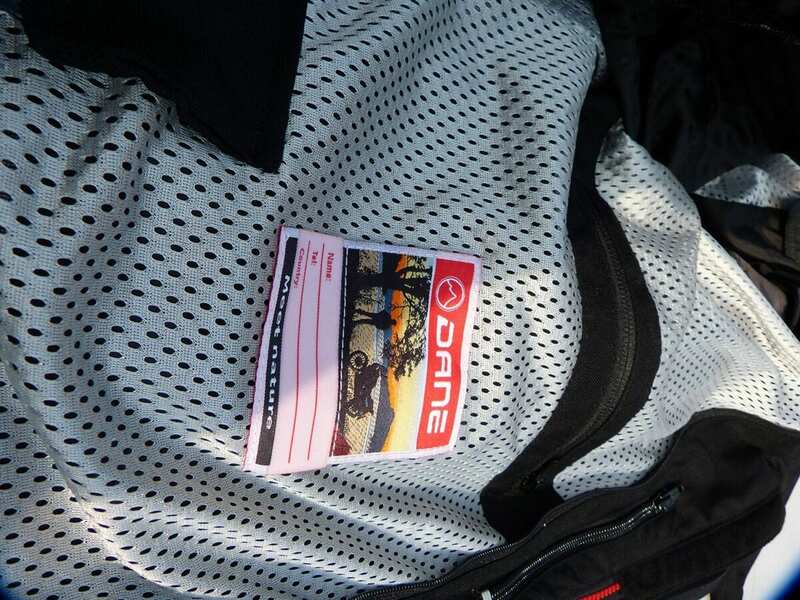 The actual inner of the jacket is made from Dane’s 3D Mesh lining and is really comfortable. I can’t say the same about the armour, which I removed from the shoulders and elbows; whilst the CE-standard protectors are impressive in spec, they simply didn’t suit my body shape, so I replaced them with some Forcefield options. 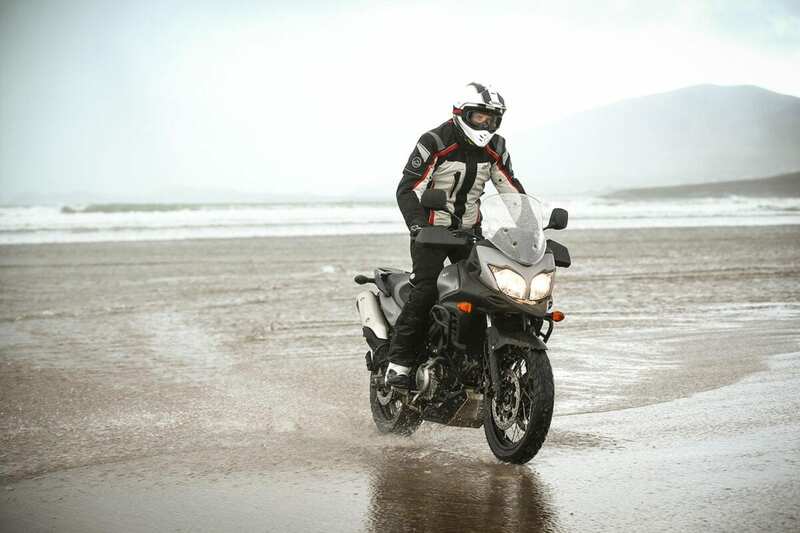 You might find them fine – it’s always best to try kit on first. The knee protectors suited me, so the originals remain, but I’ve used the integrated adjuster system to tweak their positions to my liking. The end result being that I’m now as snug as can be in the Dane kit, which I rate highly. Don’t be surprised if you see me wearing it lots on test throughout this season… and next.